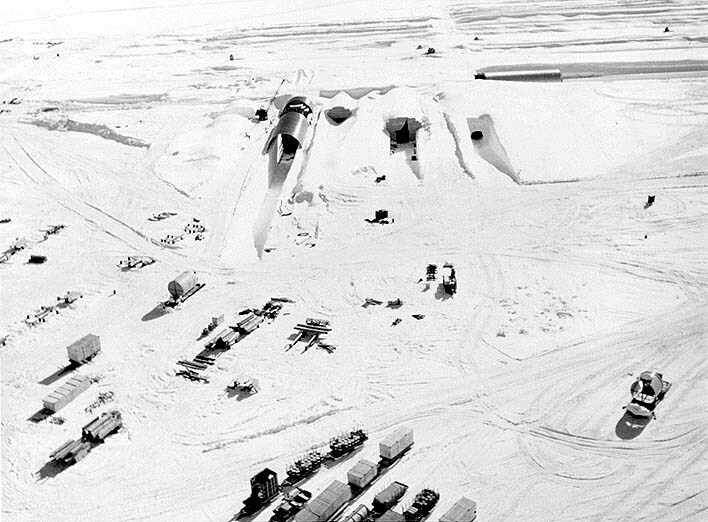 Camp Century, a United States military base built within the Greenland ice sheet in 1959, doubled as a top-secret site for testing the feasibility of deploying nuclear missiles from the Arctic during the Cold War. When the camp was decommissioned in 1967, its infrastructure and waste were abandoned under the assumption they would be entombed forever by perpetual snowfall. Climate change has warmed the Arctic more than any other region on Earth and the new research has found that the portion of the ice sheet covering Camp Century could start to melt by the end of the century. If the ice melts, the camp’s infrastructure, as well as any remaining biological, chemical and radioactive waste, could re-enter the environment and potentially disrupt nearby ecosystems, say the study’s authors. The wastes would not remain encased in ice forever, as was assumed by both the US and Denmark when the camp was abandoned. Determining who is responsible for cleaning up the waste could also lead to political disputes not considered before, said Colgan.